Who is portrayed as Australian? 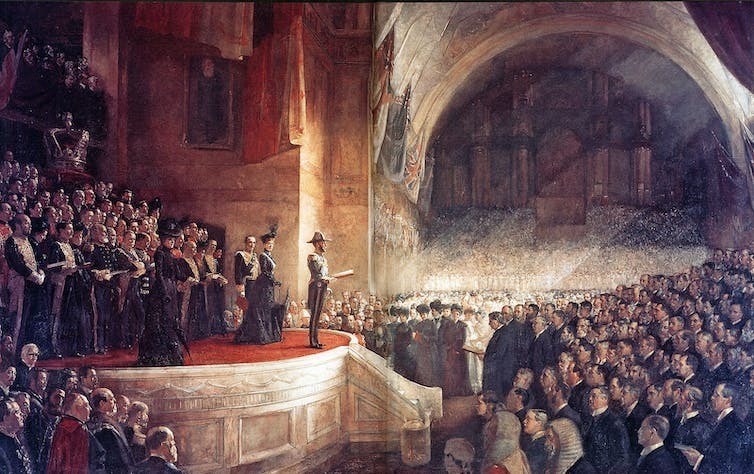 ‘Opening of the first parliament’ Tom Roberts c.1903. 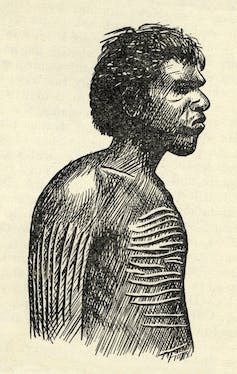 This image from a textbook published in 1950 was titled ‘One of Dampier’s miserablest people’. 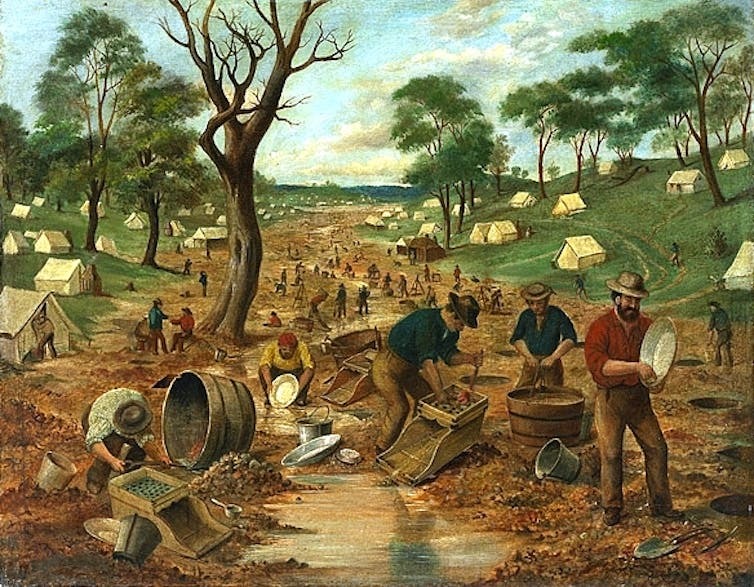 ‘An Australian gold diggings’ Edwin Stocqueler c.1855. 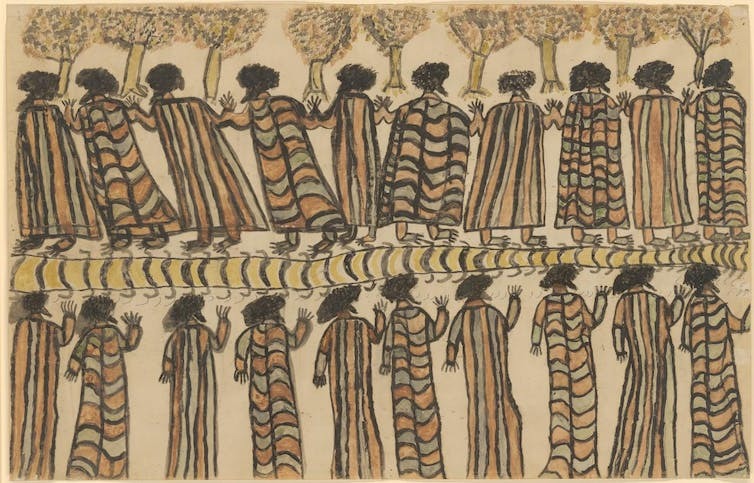 ‘Figures in possum skin cloaks’ William Barak c.1898.